If you can afford it, would you build a house worth a billion dollars? And would you like to live there? Many of us simply dream of owning a home, no matter how modest, as long as it is our own. But of course there are people who need to have expensive houses for other reasons than simply living in it, such as social (they have a lot of friends), political (high positions demand for lavish resources), or psychological (it is a matter of pride) and a lot more. Thus there are houses whose value exceed our imaginations. Atilia, Mumbai (India). Has 27 storeys; 37,000 square meters floor area; with a health club that includes a gym and dance studio; garage large enough for more than 150 cars; swimming pool; 50-seat moviehouse; various rooms and staffed with 600 househelp. All these for Mukesh Ambani, India’s richest man, his wife and three children. Value: a whopping $1 billion, or thereabouts. Villa La Leopolda, Nice (France). 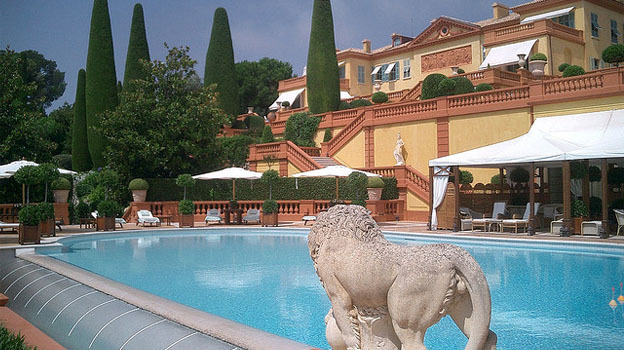 Once owned by billionaire Bill Gates, it is now the home of Roman Abramovich. Set in 10 acres of gardens, it needs the services of 50 gardeners just to maintain the grounds. Value: around $398, 350,000. Ira Rennert Mansion, Sagaponack (USA). The mansion houses 29 bedrooms, a huge dining room, 39 bathrooms, bowling alley, and courts for various sports in 63 acres of land. Value: $180,000,000. 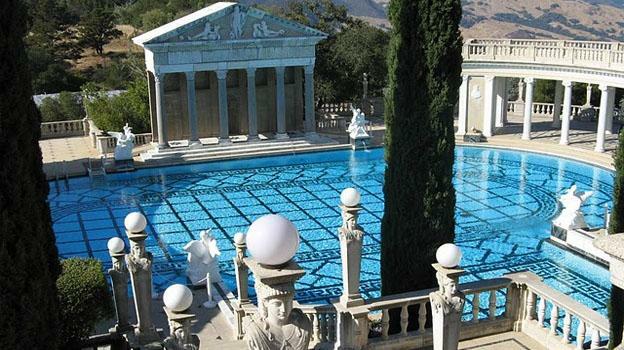 William Randolph Hearst Mansion, (USA). Listed as having three swimming pools, movie theater, disco, 29 bedrooms occupying six acres of land.. Value: $165,000,000. Aaron Spelling Mansion, Los Angeles (USA). This TV mogul’s house has 123 bedrooms, skating rink, a lot of swimming pools, tennis court and 56,000 square feet. Sold recently to Petra Acclestone. Value: $150,000,000. Originally in 58 acres that includes a lake and woods, but was burned in 1987 and rebuilt for sale. It has more than a hundred rooms, a $3 million driveway, two bowling alleys, floodlit tennis court, wine cellar, five swimming pools, 50-seat cinema, squash court, two penthouses, and –totally unique—an emergency panic room, a refuge in case of terrorist attack. It has granite-floored garage for eight limos, eight tastefully furnished bedrooms, terraces with great views or the area. Value: $140, 000, 000 more or less. Hala Ranch, Aspen (USA). Owned by Prince Bandar bin Sultan bin Abdulaziz and sprawls across some 14,400 square feet. 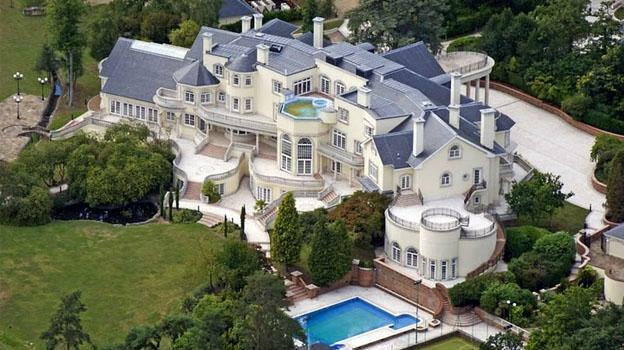 It houses 15 bedrooms, 27 bathrooms, indoor pool, a gas station, ski trails and a sewage treatment plant. Value: about $135,000,000. While the above are costly houses, they are not the only ones and other houses in various parts of the world may be more expensive. The problem is the lack of information about them. For instance, a Belle Epoque mansion formerly owned by the Belgian King Leopold at the French Riviera once sold for $750 million. But since it was unlisted as for sale, very little was known about it officially and thus was not reported as a lavish house. So there they are, the stuff of dreams. But we can dream, can’t we? Ben Rogers the author of the “The worlds most expensive dream houses” is a full time real estate agent and a travel blogger who loves to write about travel properties in Europe.